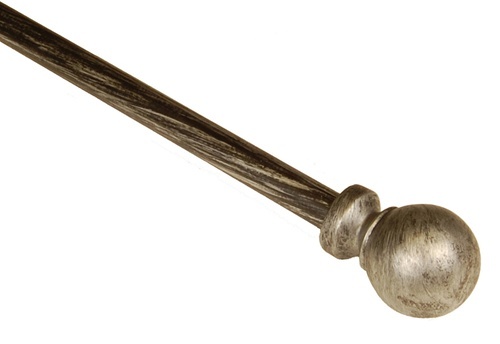 This telescoping decorative rod will add a contemporary and polished look to your window. Made of sturdy metal, it is perfect for tab tops, scarves, rod pocket curtains, tapestries and more. 5/8-inch diameter poles adjust from 86-inch to 120-inch to accommodate a range of window sizes. 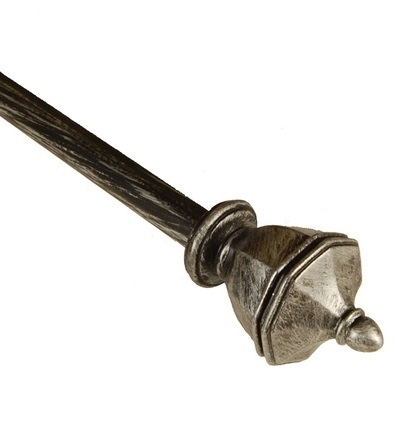 The curtain rod comes complete, including, 2 finials, brackets, mounting hardware and installation instructions. Available in 3 color finishes. • 5/8-inch diameter poles adjust to accommodate a range of window sizes.